A percentage of the profits from the collection goes to the non-profit organisation Malaika. Not only is London-based designer Roksanda Ilincic a true-blue purveyor of the most elegantly appointed dresses in the industry, she is also one of the most genuinely likeable people working in fashion today. (We can attest to that having interviewed her, IRL, read it here.) What's more, the Serbian-born designer has never shied away from using her position to empower women through the wearing of clothes. So it seems only natural that she should take on this new project, The Outnet x Roksanda x Malaika, producing a collection especially for the etailer that donates proceeds to non profit organisation Malaika, an organisation designed to empower young women through health and education programs in the Democratic Republic of Congo. Malaika was founded in 2007 by Noëlla Coursaris Musunka, an international model and philanthropist who is a big fan of Roksanda's sleek and chic designs. Here, Noëlla models the collection which is as vibrant and sculptural as you would expect from the designer who riffs on architectural shapes to empower women through a feminine-led kind of design. The collection itself was inspired by "the important concept of circular economy in the fashion industry, positivity and change." 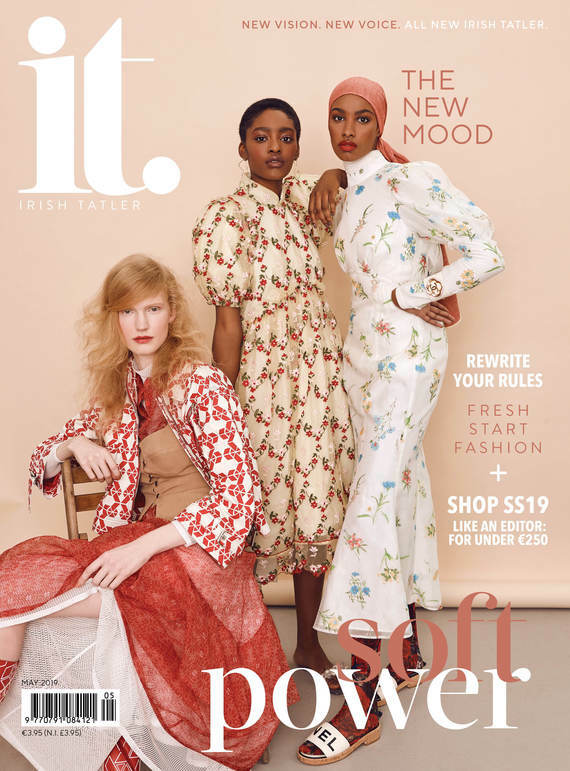 Speaking to Irish Tatler Fashion Editor Sarah O'Hegarty previously, Ilincic said, "I want my clothes to feel like an armour for women; something in which they can feel sheltered, protected and comforted. When you say ‘armour’ you think of metal but this is to the contrary. I want them to be soft and almost so you can’t feel as if you are wearing them; very comfortable and very effortless." The 17-piece collection is available from The Outnet now.